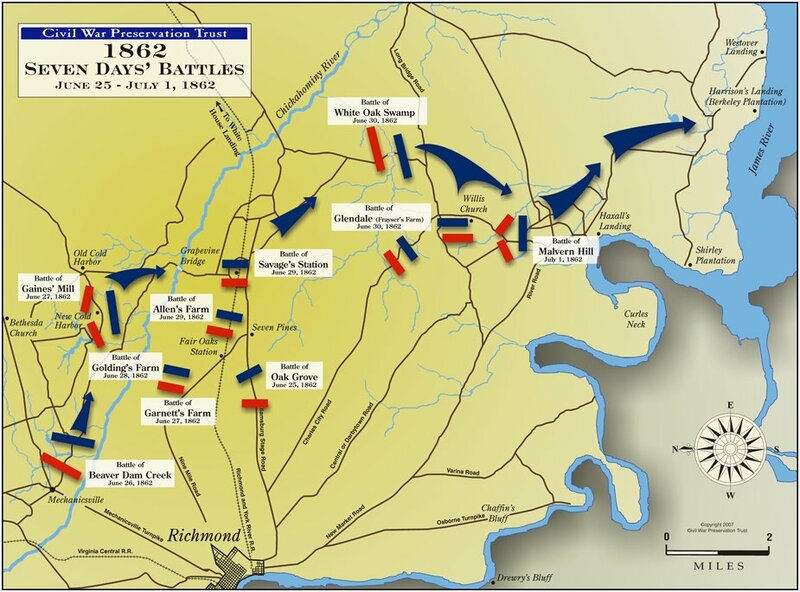 In June, 1862 ,Union general George B. McClellan attempts to capture the Confederate Capital of Richmond in the most pivotal moment of the Civil War. The wounding of General Joe Johnston at Fair Oaks will bring General Robert E. Lee into the conflict as the commander of the Army of Northern Virginia. The battles that will follow will be the bloodiest up to that point in the war.